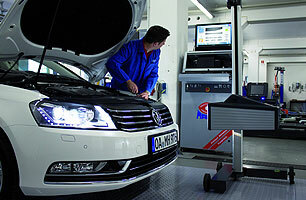 Correct headlight alignment ensures good vision at night while preventing on-coming traffic from being dazzled. 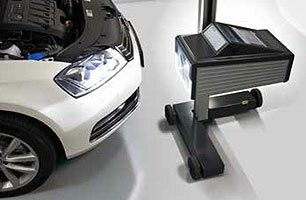 To determine the headline alignment precisely, vehicle workshops and inspection organisations rely on the precision of their headlight testers. 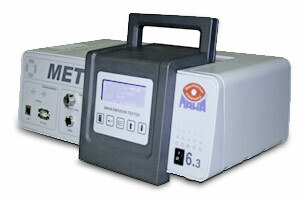 In this regard, the analogue headlight tester MLT series sets new standards in its class. 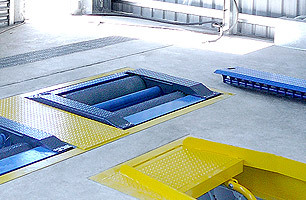 User-friendly operation - A well-organised device structure guarantees simple and intuitive use. 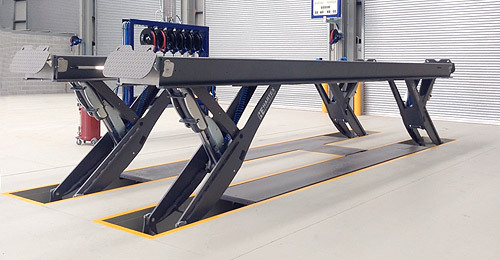 Robust, no-maintenance design - A tried-and-tested device design with non-wearing precision guide pillar promises a long service life, even for high-frequency use. Ergonomic handling - A counter-weight has been integrated into the pillar to allow the measurement housing to be lowered and raised with one hand in a smooth gliding movement, supported by a ball bearing. Easy to position in front of vehicle - The large Fresnel lens enables the unit to be positioned in front of the headlights correctly and with ease. It is often possible to inspect multiple light sources without having to reposition the unit each time. an optional alternative to the mirror. The unit moves between the vehicle's headlights with full directional stability thanks to individual rails, which are available in various models. The well-organised device structure guarantees simple and intuitive use. It has a non-wearing precision guide pillar that promises a long service life, even for high-frequency use. 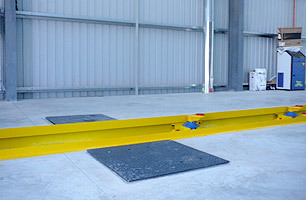 A counterweight has been integrated into the pillar to allow the measurement housing to be lowered and raised with one hand in a smooth gliding movement, supported by a ball bearing. 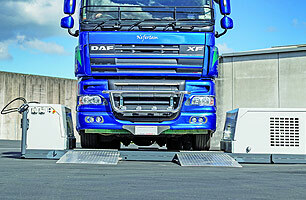 MLT 1000 sets new standards in its class. high-illuminance light sources are setting new standards for headlight testers. It is often necessary to determine and assess the contours and positions of cut-off lines individually. Light sources such as xenon and LED also form a pronounced blue fringe in the cut-off line area, which makes assessment even more difficult. The 'MLT 3000' determines the required measurement values digitally, making it very precise and objective. 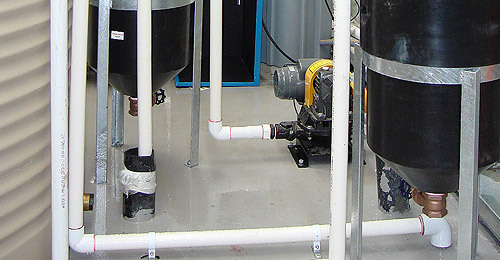 solutions that offer valuable services for day-to-day workshop and test centre business. For example, the tester's rechargeable battery has been integrated into the foot. The powerful battery supplies enough energy for up to ten hours of uninterrupted work. Moving the battery to the foot of the unit has made it possible to further reduce the weight of the light box. The unit is also more stable as its new centre of gravity is lower. 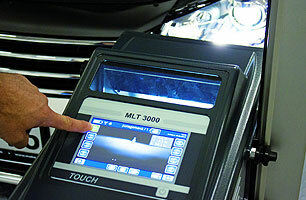 The absolute highlight of the 'MLT 3000' headlight tester is the electronic levelling for uneven floors. 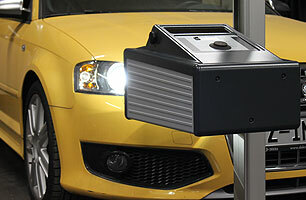 Uneven base surfaces can greatly impair measurements in headlight testing. 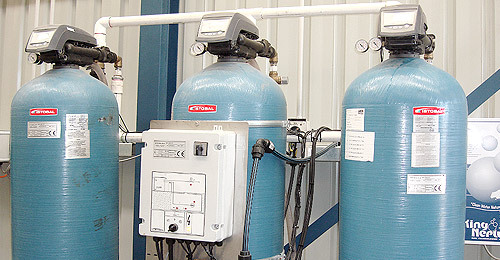 Even a few millimetres of deviation can result in a faulty assessment of the cut-off line. 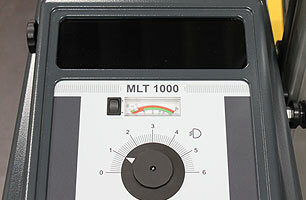 To prevent incorrect measurements of this type, the 'MLT 3000' has an integrated position sensor that determines the unit's angle of inclination. 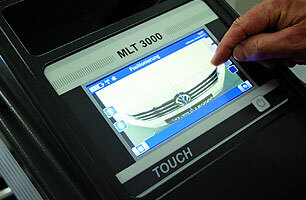 The 'MLT 3000' software uses this information to compensate for any horizontal deviations automatically. To improve user-friendliness, a 7″ touchscreen is now available. 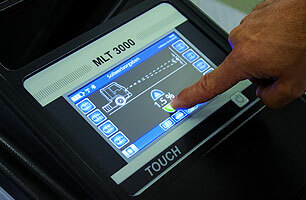 The 'MLT 3000' is operated via self-explanatory buttons on the touchscreen. To allow the headlights to be adjusted with ease, a display is also provided on the front of the unit. The display uses an LED scale to show the user the horizontal and vertical position of the cut-off line/inflection point. This means that the tester can quickly and easily adjust the headlights without directly looking at the screen of the unit. Like its predecessor model (the 'LITE 3'), the 'MLT 3000' is equipped with a non-wearing precision guide pillar. Improvements have been made to the vertical guidance of the light box, which is now particularly maintenance-free and smooth-running thanks to its ball-bearing mounted guide rollers. A counterweight integrated into the guide pillar allows the light box to be positioned at headlamp height with smooth, effortless movements. Given that vehicle manufacturers can be expected to produce further headlight innovations in future, constant adjustments to the tester software are an absolute necessity. MAHA makes the required updates available for download on the MAHA website. These updates can be installed directly from a networked PC quickly and easily via a web interface. This makes the 'MLT 3000' a future-proof investment. 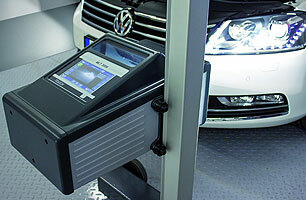 The headlight tester and test station function as a single measurement unit for identifying the cut-off line. The 'MLT 3000' surpasses all requirements here. 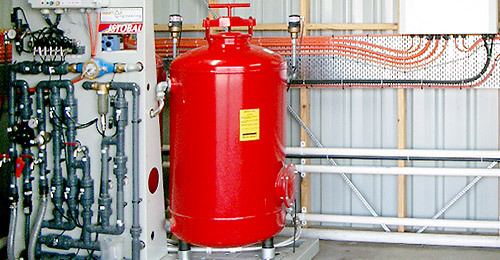 Test stations need to be designed to eliminate any risk of an incorrect reading. 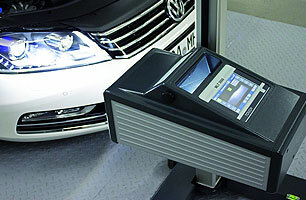 The inclination* of the base surfaces for the headlight tester and for the vehicle should not exceed 1.5%. The difference between the inclinations of the left and right driving surface must be no greater than 0.5%. In particular, the surfaces must not slope in opposite directions. At all other measurement points of the driving surfaces, the unevenness* should not exceed 3 mm/m. The inclination of the test area corresponds to how much the test area tilts away from the horizontal base line, expressed as an angle. Unevennesses are height deviations with regard to the line of inclination, measured at various points.